‘Alagaesia’ meets ‘Goredd’ – we explore the enjoyable similarities between the two fantasy worlds! 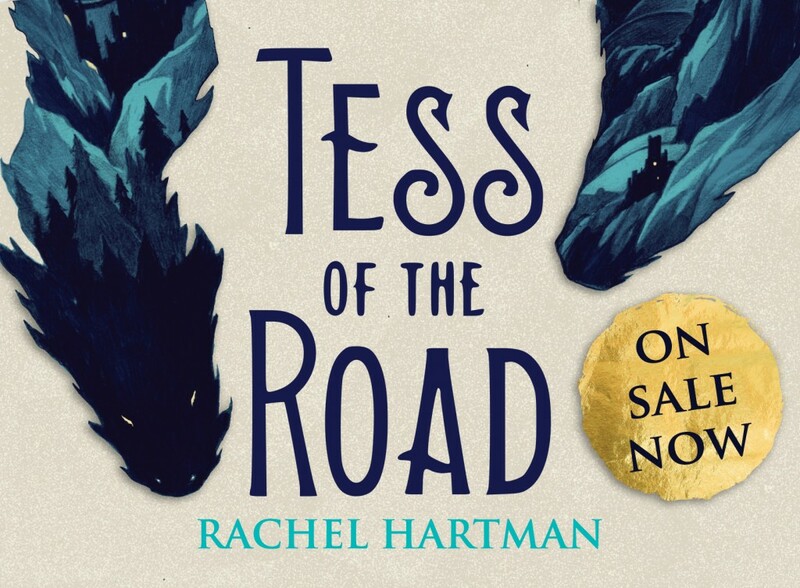 This post is sponsored by Random House Children’s Books to promote the release of Rachel Hartman’s Tess of the Road, in stores now! We’re always in search of a new great fantasy read while we await Christopher’s fifth Inheritance Cycle book, and that search turned up one of our new favorites: Tess of the Road by author Rachel Hartman! At the core of every great fantasy series is an original universe filled to the brim with an author’s vision for the world and its inhabitants. Christopher Paolini meticulously planned the world of Alagaësia from day one, building on that foundation as he wrote the Inheritance Cycle. Like Christopher, Rachel Hartman (author of Seraphina, Shadow Scale, and now Tess of the Road) spent an exorbitant amount of time crafting the world of Goredd, which the characters of her two series inhabit. To help better understand Goredd, we’ve put together a list of some of our favorite parallels between the two stories while also highlighting the creative and appealing ways they differ! From dragons and mystical creatures to war and dragon treaties, the books feature plenty of parallels to entertain every Cycle fan! Can’t wait to start reading Tess of the Road? You can purchase the book through Amazon, Barnes & Noble, or Random House! You can learn more about Rachel’s books, Seraphina, Shadow Scale, and Tess of the Road, on her official website, and can follow her on Twitter and Facebook. We’ll start with the obvious: dragons! At the heart of Alagaësia and Goredd lie fantasy’s most beloved creature. In both worlds, dragons are intelligent, sentient beings who live alongside humans (and in Alagaësia, other races). Unlike in Alagaësia, the dragons in Rachel Hartman’s world aren’t free to live as, well… dragons. As a result of a peace treaty (discussed below), Goredd’s dragons are confined to human form (one of their abilities) for all but one day out of the year. The creatures also differ in that Goredd’s dragons are relatively emotion-free, breaking from their Alagaësia counterparts. The first true war on Alagaësia took place between the elves and the dragons. Every Inheritance Cycle fan is familiar with the bloody war that almost drove both races to extinction. Fortunately, the ultimate tragedy was avoided when the first Eragon brokered peace between the two races, creating a “treaty” of sorts in the formation of the Dragon Riders. In Goredd, a bloody war between humans and dragons led to chaos, turmoil, and massive loss of life for both sides. A peace treaty was brokered between the two races, with humans giving up their knights and dragons conceding to only take their true form for one day out of the year. The truce between dragons and humans is put to the test in Seraphina, while Tess of the Road places less of an emphasis on that aspect of Hartman’s universe.